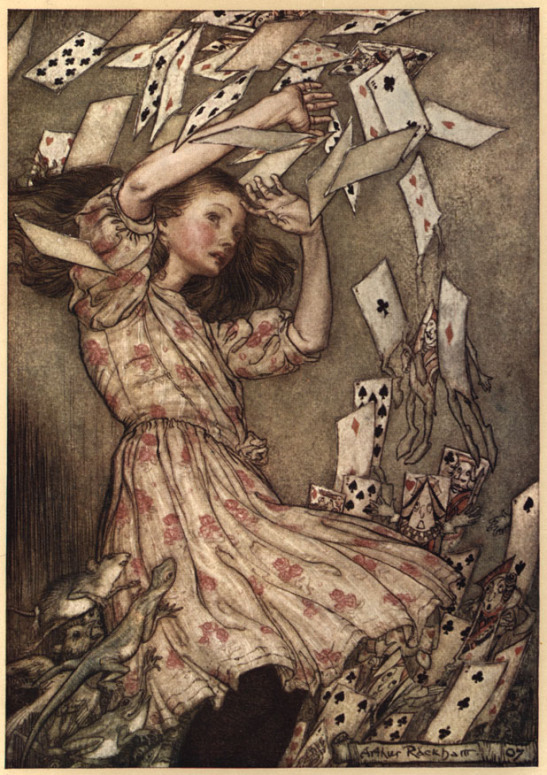 Widely regarded as one of the leading illustrators from the Golden Age of book illustration, from 1900 until the start of the First World War, Arthur Rackham died on September 6, 1939. He was born 71 years earlier in London as one of 12 children. In 1884, at the age of 17, he was sent on an ocean voyage to Australia to improve his fragile health, accompanied by two aunts, and upon his return began studying part-time at the Lambeth School of Art. His first book illustrations were published in 1893. 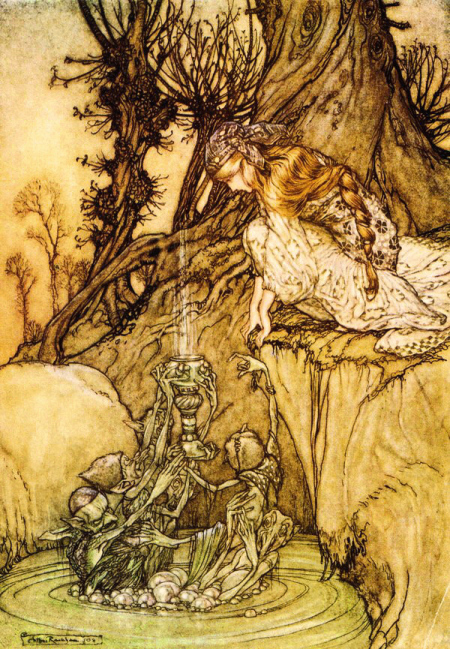 He has illustrated such diverse works as Grimm Fairy Tales and Shakespeare, Alice in Wonderland and Wagner’s ring cycle. 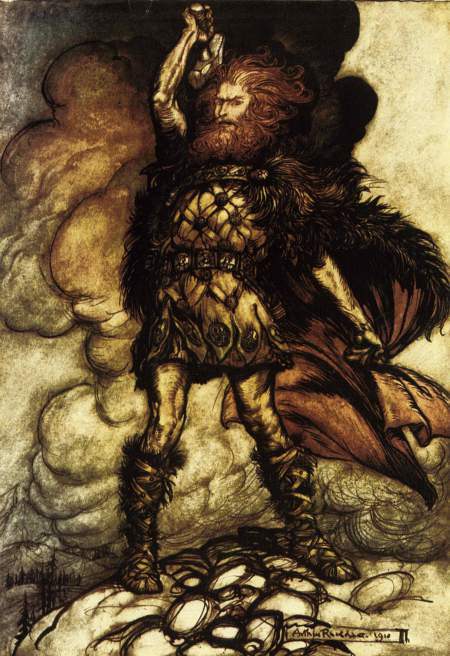 Many of the works he illustrated are commonly referred to as the Arthur Rackham editions. ONE FROM THE ARCHIVE. In view of my recent posts about Maude Fealy, I thought it was time to reblog this article from 2012, partly because I have nothing else prepared! Originally posted on Spitalfields Life. Inveterate collector, Mike Henbrey has been acquiring harshly comic nineteenth century Valentines for more than twenty years. 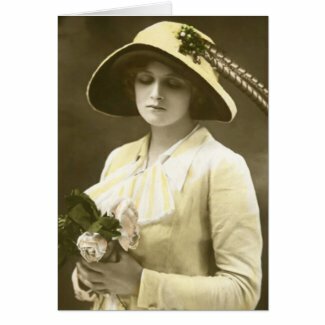 Mischievously exploiting the anticipation of recipients on St Valentine’s Day, these grotesque insults couched in humorous style were sent to enemies and unwanted suitors, and to bad tradesmen by workmates and dissatisfied customers. Unsurprisingly, very few have survived which makes them incredibly rare and renders Mike’s collection all the more astonishing. via Mike Henbrey’s Vinegar Valentines | Spitalfields Life. Originally posted on Mimi Matthews. 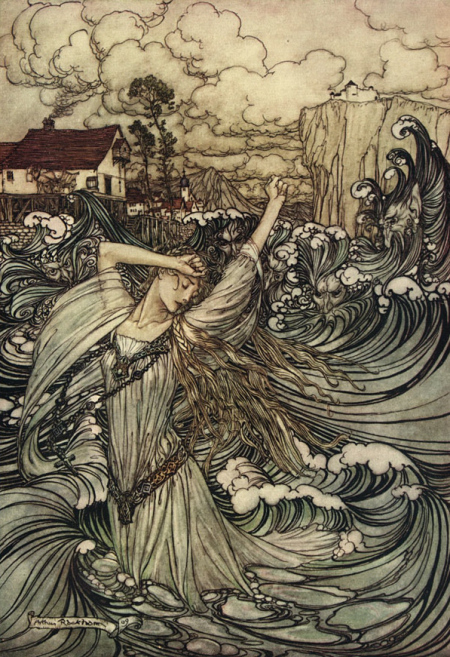 via The Legend of Lady Godiva: Depictions in Art, Literature, and History | Mimi Matthews. One from the archive while I continue to enjoy the company of my beautiful niece. Welcome to followers old and new and thank you for all your lovely ‘likes’! As soon as I saw this cow among the archives at The Library of Congress, I was smitten. Wouldn’t you be? Look at her eyes. There’s an animal you wouldn’t dream of messing with but the expression is so direct that she holds you in her gaze without allowing you to look away. I may have called the piece Take the Cow by the Horns but I would not recommend it! I created the setting by adding a background from Asunder Ephemera and used Photoshop to adjust the colours and tones until I felt I had done her justice. You could have knocked me down with a feather, and all the other clichés, but I’ve read my first vampire novel and loved every minute of it! L E Turner was looking for blog followers to read a proof copy of her book and, even though it was not my cup of tea, I offered myself up on the strength of the flash fiction on her blog. About the Nature of the Creature is a compelling tale, written from the vantage point of Constance, whose human life is cut short during her Edwardian childhood in Bristol. After a back story the author doesn’t reveal fully until further on, we find her a century later settled in Egypt, at which point some unknown urge prompts her to return to the city of her birth. She is faced with the changes wrought by a hundred years and the danger of a religious sect determined to eradicate her kind. There are rivalries and jealousies amongst her tribe and Constance realises it is she who has to find a way to overcome the dangers in the hope of survival. One of the reasons I was drawn into this story is the humanity, if one can call it that, of the creatures – the good and the bad. For example, the last thing Constance desires is the death of another but the need for blood is how she is made; if she can therefore acquire blood without killing a human she will always choose thus. Turner manages to give her heroine human and vampiric qualities which don’t seem at odds. I started caring about Constance and urging her forward. I wanted her to be happy! Turner is adept at pacing and knows exactly where to place her twists and turns of plot. Even in the best books, one can predict certain events. Not in this case. The author kept me on the edge of my seat to the extent that when my computer went down and had to be rushed to hospital where it stayed for a month, all I could think about was getting back to the story on my Kindle app! The other characters, human or not, are as well-drawn as Constance, giving the story an edge that I suspect — generalisation warning — many bandwagon books do not. Turner’s knowledge of Bristolian history is lightly interwoven, giving a lovely Gothic depth to the piece. Will my enjoyment make me pick up another novel about vampires? Probably not. It will, however, make me buy and read the sequel to About the Nature of the Creature, which Turner is currently writing. The only criticism I have is that there were a number of typos and some erratic punctuation but I’m sure these were ironed out before publication. Thank you, L E Turner, for sending me a copy! What a surprise! I created this design for the last World Cup and a lady has just bought the T-shirt. British football aficionados will recognise the quote — “They think it’s all over…it is now…” — as from the closing seconds of Kenneth Wolstenholme‘s famous commentary given for the 1966 FIFA World Cup Final between England and Germany. Yes, England won 4–2 after extra time and there are still some people who haven’t stopped going on about it, which is rather sad. The cow has an interesting provenance, coming as she does from a scrapbook of illustrations that were collated by Hans Christian Andersen and A L Drewsen to entertain Drewsen’s grandson Jonas. These illustrations came from myriad sources — England, America and Germany — and were mounted and coloured. Anderson added his own rhymes to many of the pictures. 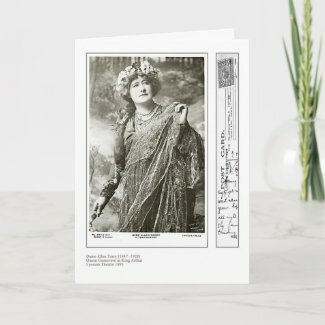 As I have recently said on Facebook, whenever I sell a theatre-related design on whatever product, my heart leaps. Theatre is in my blood, partly because I spent over 30 years as an actress and partly because I was, as the saying goes, ‘born in a trunk’. 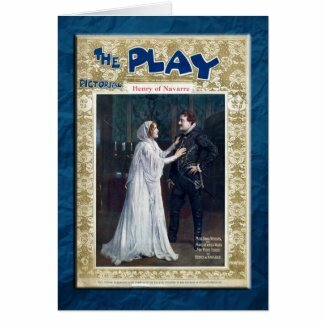 This theatre term used to mean that you were born on tour of theatrical parents and that while other babies spent their days and nights in cribs and prams, you spent yours sustained by the smell of greasepaint and curled up in the theatre’s wardrobe skip, either in the wings or one of the dressing rooms. Now it has the more general meaning of having theatrical parentage. I am reminded of another phrase, which was coined by the playwright Tom Robertson, as revealed by Clement Scott in The Drama of Yesterday and Today [Vol. I] (pub. Macmillan & Co, 1899), and of which I am very fond. Robertson tells a story about a theatre child who has been “nursed on rose-pink and cradled in properties”. * Aaah! 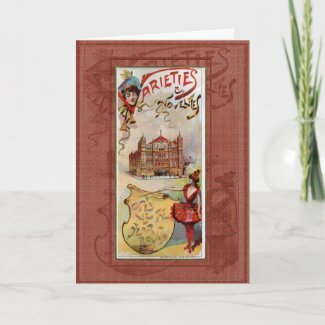 Imagine my delight, then, when a customer from the U.S. bought a collection of theatrical greeting cards, which I created from my archive of vintage postcards. 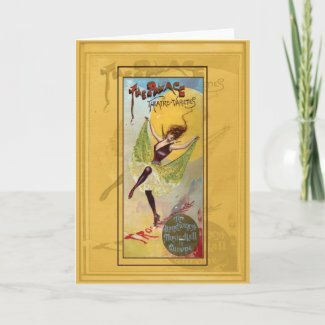 Yesterday, I was thrilled anew by a slew of similar images selling to a British customer. Both the above are from original late 19th century music hall playbills for the Palace Theatre of Varieties, ‘The Handsomest Music Hall in Europe’. It was originally built as a venue for opera by Richard D’Oyly Carte but only one opera – Arthur Sullivan’s Ivanhoe – was ever produced. The theatre was renamed the Palace Theatre in 1911, a name it retains to this day. Dame Gladys Cooper (1888-1971), mother of the actor Robert Morley and grandmother of the late theatre critic and writer, Sheridan Morley. 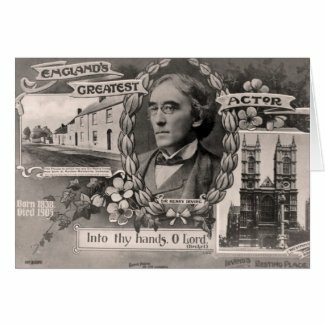 Sir Henry Irving (1838-1905), the first actor to be knighted. 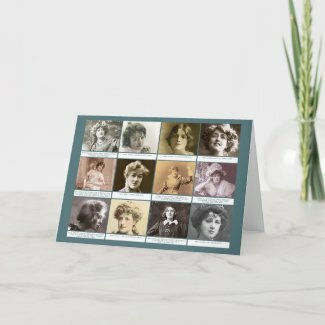 Montage of several late 19th century and early 20th century British actresses. Julia Neilson (1863-1957) and Mr Henry Ainley (1879-1945) in Henry of Navarre (1908). Taken from Play Pictorial, an early 20th century equivalent of today’s Theatregoer. *Rose-pink is a lighting gel for the stage; properties are the ‘props’ used by the actors in a production such as a newspaper, a table lighter or a book.